Mole mapping is a fantastic tool which allows us to serially follow moles and pick up early changes. A mole screening doesn’t need to be a scary event. Now with the development of the FotoFinder, a fantastic non-invasive diagnostic tool, we can save patients from unnecessary surgeries. The FotoFinder machine has revolutionized the way we as dermatologists practise medicine and conduct skin cancer surveillance. It features smart imaging technology that picks up on the dermoscopic features of moles below the surface of the skin – deeper than a dermatologist can see with the naked eye. During your mole mapping appointment, systematic photographs are taken of each area of the body including the palms and soles with a high-resolution digital camera. The position of the moles is captured on the system. Moles are then photographed one at a time using a specialised dermoscopic camera which can magnify the moles from 20-100 x and the digital image is stored for future comparative purposes. On follow-up visits, each mole will be compared directly with the images stored on the database. The software programme analyses the two images side-by-side and makes sure that there has been no change. 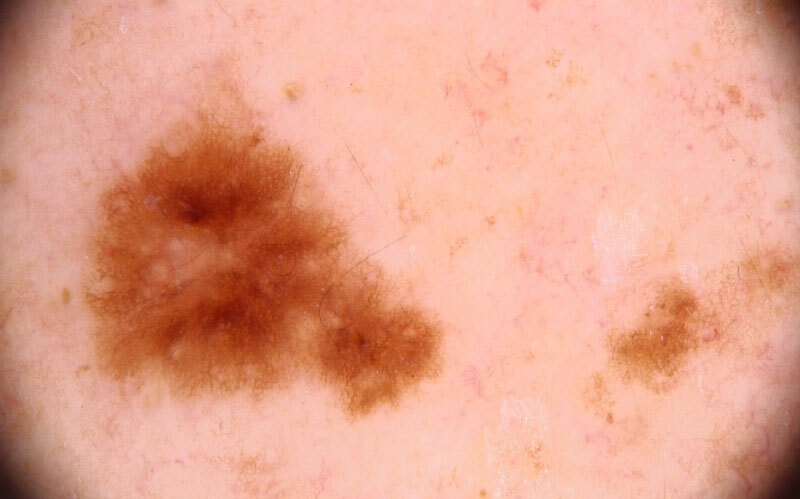 The bottom line is that when it comes to catching potential malignant melanomas, there is no such thing as too early and this system allows us to pick up on the most subtle changes and act accordingly. The most common malignant melanoma picked up in our practice for existing patients are malignant melanoma in-situs which means that they are still confined to the upper layers of the skin. This is essentially catching a melanoma in its most early stage. These patients require a wide excision only and are spared from bigger surgeries or any adjunctive measures. We owe this to meticulous full body screening and painstaking capturing of all moles including even the tiniest of moles which our patients have never noticed before! The mole mapping process also gives us as dermatologists the option of monitoring a mole serially rather than excising every irregular mole. Although the dermatologists’ mantra of “when in doubt, cut it out” always applies, the FotoFinder eliminates much of this doubt. This means more mapping and less cutting! Our experienced team of dermatologists will also make use of the time during a Mole mapping appointment to teach our patients what they should be looking for regarding changing moles. We encourage our patients to actively be on the look-out for irregular changes at home. As always we liken the doctor-patient relationship to teamwork and promise that we always listen intently and take careful note of our patients’ instincts!